Traveling as far as he had to tired out Ash. He didn't want to come to this school, it was too far away and had too many new people and Ash didn't want to meet new people. Meeting new people meant starting over and he had done that way too many times. Each new house, each new move meant new friends and his friendships never lasted long because he had poor control over the stupid amount of static he had which apparently wasn't just because he had such amazing friction. It always rearranged everything and he hated when things were out of order. Plus, everyone around him thought he was weird. "Where am I supposed to go...?" Ash muttered to himself, looking around at the wide array of buildings. He saw no immediate organization of the buildings and so had no idea which housed what facility and where he was supposed to go. He had been dropped off a the entrance and then left. Ashton scanned the buildings again. "You looking for something?" An average height redhead asked with a thick Irish accent as she walked up to the new kid who just seemed to be dumped onto campus and ditched. Erin couldn't help but smile as she approached him and waved. "I guess you're looking for the office to get settled, eh?" She knew that's what he was looking for, but she wanted to strike up a conversation. He looked nice enough. At the same time, though, he also looked like he really didn't want to be here. Tucking her wild hair behind her ears, she looked up at him. "I'm Erin, by the way. Erin Gallagher. 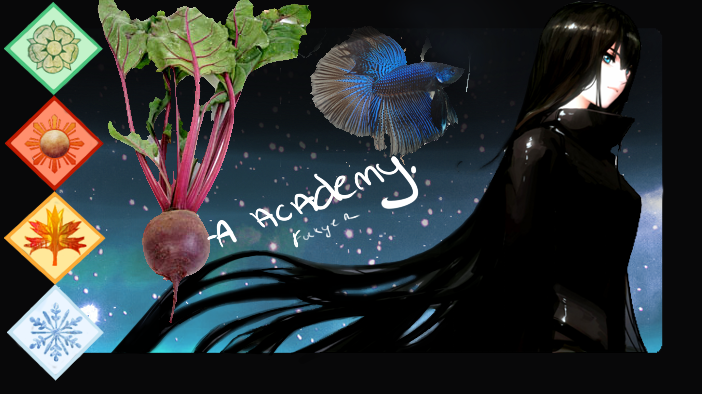 Glad you could make it to Beata Academy!" Ahh! A person! Ash felt his body stiffen and a small fuzzy feeling roll across his arms, lifting the short hairs that no one could see. Quickly he put his bag down and began to pull his hair into a tight ponytail, leaving very few hairs loose. It was a hard accomplishment that had taken years to perfect but he was getting close, though his hair wasn't long enough yet. "Um, I'm not sure." He responded, taking a headband from his jacket pocket and slipping it over his head. If the girl looked close enough she would see small, red hairs lifting off his head and if she stepped close enough she would likely feel a bit of the pull of static charge as well. "Is that where I need to go? I can make no sense of these buildings, though I imagine there is some organization here." He flexed his hand open and closed and then picked his bag up to occupy his jitters. "Um, I'm Ashton. Uh, just call me Ashton." He wasn't very keen about sharing his first or his middle name with anyone because the first was a girls name and the second was ridiculous. Hopefully she wouldn't ask for other names. That was a nice name. It wasn't one that she heard very often. It was funny how tense he got so quickly, though. "Yeah it can be a little confusing at first, but it gets a lot easier fairly quickly," she told him with a grin. "I think what you're looking for is the offices. That's where you can get signed in and be given your dorm key." Erin was glad that she remembered all of this. She hadn't been a student for very long, but she'd been around long enough that she had to second guess herself on what new students had to do. She definitely knew the campus, though, so she at least had that going for her. "It's a pleasure to meet you, though, Ashton!" she chirped before turning on her heel and walking towards the entrance of the building in front of them. "I can show you the way if you'd like." Tense was Ash's middle name. Along with awkward and sparky. Some kids had actually tried nicknaming him Sparky once in elementary school, but it had never stuck. "I imagine it would. Organization of buildings is not hard to memorize." Ash nodded in agreement, looking around toward the buildings to take some more of it in. "That makes the most sense." It was obvious what he was looking for, anyone could see that, but where they were was another question entirely. Oh goody, she hadn't offered to shake his hand. Ashton smiled politely as she turned around and headed toward the buildings before them. When she offered to show him the way he grinned and began to trot after her. "That would be wonderful, thank you!" He exclaimed before catching up. The tall red haired boy squeezed his hand open and closed around his bags handle while thinking of what else to say while they walked. "Have you been here long?" That's a good starting question, he thought to himself. "Not really," Erin replied quickly, walking with a skip in her step, her hair bouncing around her face. "Maybe six months? Seven? I'm not really sure anymore. It all gets a bit mixed up when you're in the middle of classes that you don't want to take." As a matter of fact, Erin hated going to class, but passing them was the only way she could stay in the school. Plus, there were some good classes like the gift mastery class that she took every other day which was pretty fun. All of her other courses were simply core classes, though, and those were awful. "This place is neat, though. It's nothing like home, that's for sure." Erin paused for just a moment as they reached the front door of the office building. Opening it, she stepped out of the way to let Ashton through. "Speaking of, where are you from?" Ash was able to keep up with this lively girl quite easily, but he couldn't quite tell why she was so lively. It was a nice day, sure, but so much could go wrong and surely would go wrong, why was she so happy? "That's quite a while." Though it could have been longer, it was certainly longer than Ash's stay at Beata, considering he had literally just arrived. "You don't want to take these classes? Why not?" Ash couldn't imagine why anyone wouldn't want to study and learn. Sure, it could be boring and uninteresting at times, but it was very useful and could help in the future. Surely that was enough to want to be in the classes? Oh nothing would ever be like home. Home was warm and welcoming and the center of all life. Here it would be nice, but Ashton knew he would miss his family greatly. Ash almost entirely spaced out until she asked hwere he was from and he snapped back to attention. "Oh, um, Jackson Hole, Wyoming. Where are you from?" As they walked through the door, Erin simply shrugged. It wasn't that she hated her classes, she just hated going. It felt like a waste of time to her. She could be doing so much more with her life outside of the classroom, but if she wanted to get out of the school, she'd have to go and pass. "I don't really like being inside. It's to cramped and dark and it smells bad," she told him. "I love being outside in the trees and get a big breath of fresh air, you know?" That was a characteristic of her younger self that she never let go of. Being outside was the best, especially going barefoot. When Ashton had mentioned where he was from, Erin stopped and gave him a confused look. She knew she was in the United States, but she had no idea where Wyoming was or that it was even a state. Forget knowing where Jackson Hole was. She laughed nervously for a second as if she were trying to play off the fact that she didn't know where that was. When he had asked her the same question, she used that as a quick change on the same subject. "Where I'm from?" she repeated as she pulled on her hair and slightly pointed at the freckles that decorated her face. "I'm from Dublin, Ireland!" she chirped with a big smile. Studying and learning was fun for Ash. To him it wasn't just something he had to do. He got something from it and very often learned something new and interesting every day. "I guess being inside can get tiring." Ash muttered in thought. "I don't have anything against the outdoors, but I prefer being inside." Ash very rarely ran into problems when he told people where he was from, mostly because he never met anyone outside of Wyoming. But he hadn't really heard much about the state until he had moved there over a year ago. Ash didn't catch that Erin didn't know where Wyoming was but lit up when he heard where she was from. "I lived in Glasgow for a year when I was ten. Glasgow and Dublin are kind of close." Ash said with enthusiasm, the nervous sparks in his hair dying down a bit. That was certainly not something that Erin was expecting. Her face quickly brightened at the mention of Glasgow. Sure, she only had a vague idea of where it was at and she'd never been there, but she knew it. She knew the area around it too. She was impressed that he had lived there, and it certainly made her a little more comfortable. "You really lived there?" she asked, her face beaming. "It is pretty close! My grandparents live close to there and we would visit them a lot. I've never actually been though. What's it like?" She was curious to know. She didn't visit Scotland much, but it sounded like a fun place to go. Moving around a lot came with his dad's job, so living somewhere near Dublin was always a possibility. It was always how Ash connected with people originally from other countries. He always mentioned where he had lived that was near to their hometown. "Yup, but only for a year." It wasn't actually a full year, but it was a full school year so Ash counted it. "Really? That's awesome. Um, it's big, busy, but very pretty." Definitely prettier than most American cities and towns. It was a little disappointing that Ashton had only been there for a year, but it wasn't anything Erin was worried about. It was just cool that there was an Amerian that knew something about where she came from. In the hallways, there seemed to be a lot of potato jokes which were starting to get on her nerves. She didn't think anything was directed towards her specifically, but there was so much more to her country than that. "That's really cool!" she awed. "If you ever get the chance to go back, you should visit Dublin while you're in the area. It's stunning and there's so much to do!" It was always a lot of fun for her to talk about home. It was one of Erin's favorite subjects, especially when most people knew nothing about it. As she spoke, she subconsciously thought back to her summer plans with Gabe and grew more excited. It wouldn't be too long now that she would be able to visit home. Living in different places for varying amounts of time was just how Ash's family rolled. Wyoming was probably the last place they would since his father talked about retiring or settling for a normal job soon. It was really cool getting to travel a lot, but Ash was almost to the age where he got to break off from his family. "Yeah, it was pretty fun. I've lived in a lot of places, but it's nice to settle down once in a while." He responded, thinking about each place and the new people he met every time. "I'll do that." Ash agreed, though he wasn't sure if he would ever get the chance to go back. America seemed his permanent residence until he earned enough money himself to move. "Everyone here's gifted, right? What's your gift?'" Ash asked the first question mostly to remind himself and it was mostly rhetorical, but it would be interesting to know what her gift was. There was a broad smile across Erin's face until Ashton suddenly brought up the question about abilities. It wasn't that she was upset or offended by it, but for some reason, she wasn't expecting that question so out of the blue. It was stupid that she felt so surprised considering they did go to a school for the gifted and it was one of the go-to questions for any new person. With a sheepish grin, the redhead's gaze dropped to the ground as she pulled her hands behind her back. "Oh, my power? It's nothing special..." she muttered self-consciously. Most people here seemed to be scared of her power. Why would he be any different? "I, uh... I can. Possess things?" The tone of her voice raised slightly as she continued to speak as if she were questioning her own ability. Instead of questioning it, though, she was more-so bracing for his reaction before she quickly turned it back on him. "But enough about me. What's your power?" Asking people what their gifts were was just something that became automatic to Ash after he came to Beata. He didn't know some people didn't like their gifts so he automatically asked what they were. But hers was pretty cool. "That's pretty cool." Ash said, honest. It was only natural she ask his power, that was how it worked with most people. "I can manipulate static electricity." Ash replied, though it wasn't a very impressive power and it got in the way it was better than some he had heard about.